This classic Mediterranean favorite is great for your taste buds and your health. With naturally healthful ingredients like sesame tahini, chick peas and olive oil, our Traditional hummus helps lower your risk of heart disease, cancer, hypertension, high cholesterol and obesity. 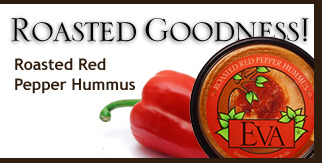 Enjoy our smooth, creamy Traditional Hummus as a dip or in a new recipe to impress your guests.